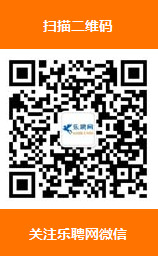 Sales Assistant 销售主管 - Calzedonia - 61HR乐聘网官方招聘网站 - 缔造中国酒店旅游业人才服务第一品牌! In return you will join a well-established, dynamic and international group known for their quality and level of service and the successful candidate will be incentivized for achieving success. Calzedonia Italian fashion is a fashion retail company specializing in the leggings, hosiery, beachwear and underwear market. Founded in Italy in 1987, it has in little more than 29 years established a network of more than 4,000 stores in over 42 countries, with stores in many major cities such as Milan, Rome, Paris, London, Berlin, Moscow, Barcelona, Japan, Hong Kong and more than 32,000 employees worldwide. The Group’s network will continue to grow further with a full program of new store openings around the world. The Shanghai subsidiary, established in 2017, we have an ambitious expansion plan in China. You have an opportunity for a fast career, and we will be looking to develop you quickly into a higher level role. Our value is the internal promotion; we believe if you are potential we can develop -your skills to achieve your long-term goal.